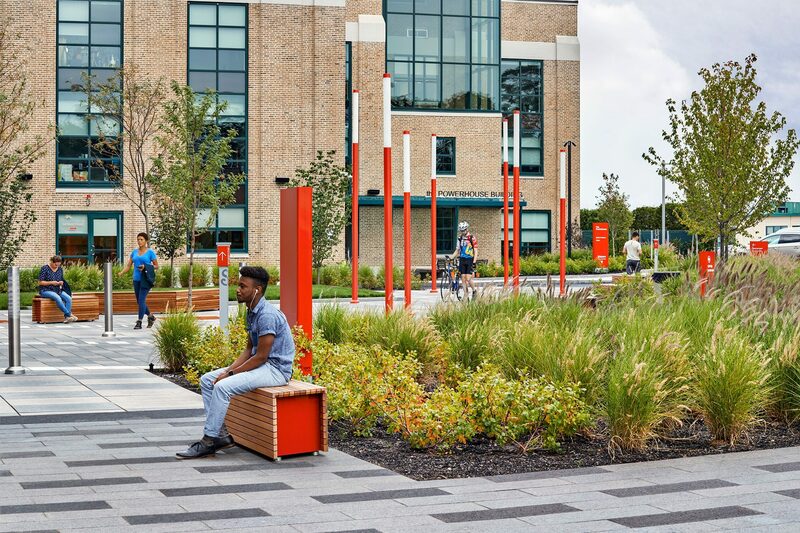 CRJA-IBI Group provided full landscape architecture services for the rehabilitation and upgrade of an existing waterfront dock and open space at Schrafft’s City Center in Charlestown, MA. 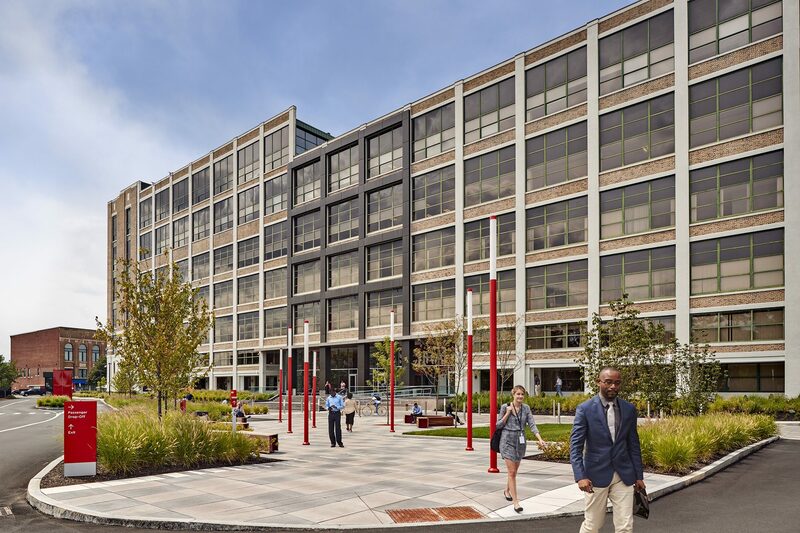 Schrafft’s City Center is a mixed-use waterfront development on the Mystic River. It was once the manufacturing site of the famous Schrafft’s Candy Factory and is considered a Boston Landmark. 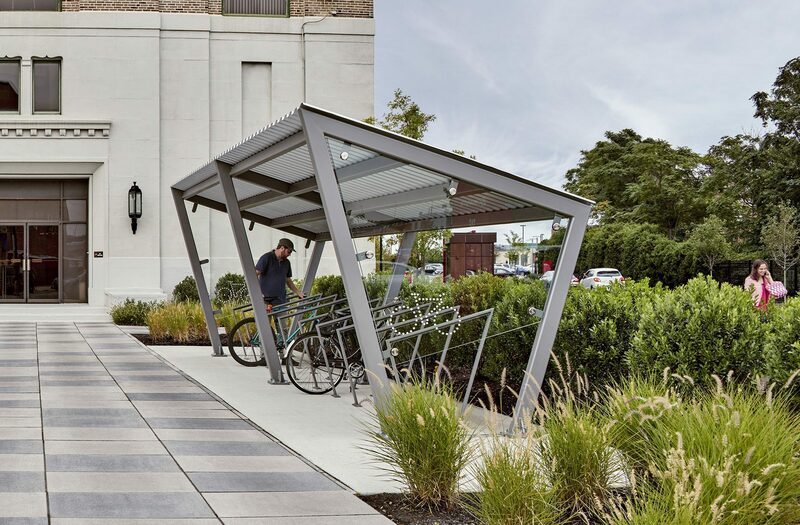 CRJA-IBI Group redeveloped the site, including the Main Street Entry Plaza, the 529 drop-off and open space, and the Pedestrian Promenade connection to the Boat Pier and Waterfront. All areas are were transformed into clean, clear, unique transition spaces for use by the tenants and guests. 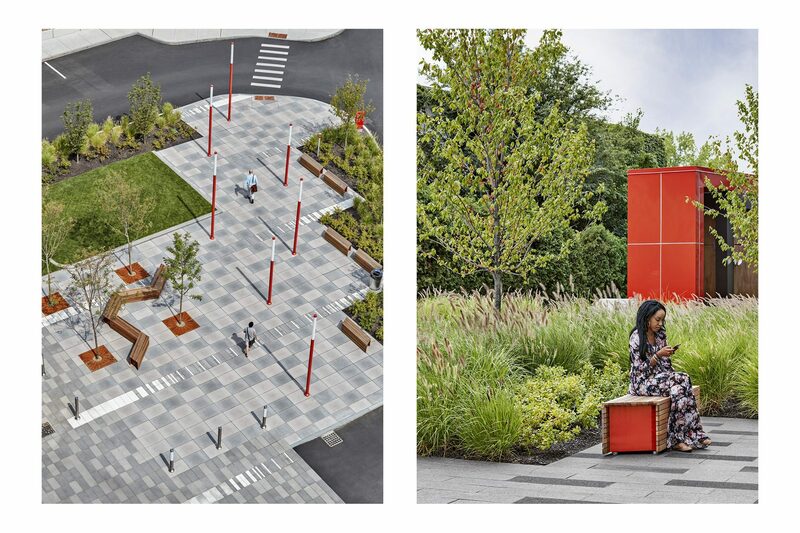 Site improvements included small gathering spaces, accessible pedestrian connections, landscaping, site furnishings, and accent lighting.